Myrdal described this book as a discussion of three key notions in economic theory: the ideas of value, freedom, and collective house-keeping. 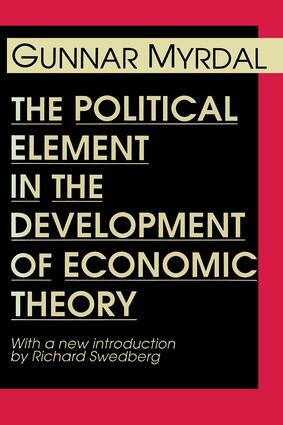 It is through these concepts, he charged, that political ideology has been intro-duced into economic theory. This volume continues to be relevant in its emphasis on the problem of objectivity in the social sciences.